The community of Penn Valley offers a rural living experience. You can find a home with some land offering the ability to have privacy, raise animals or just take your horse out for a ride. More and more families are looking for a place to live that includes a little bit of acreage. A place to ride your quad, have a tractor, barn or just a large garden. Your neighbors are close but not in too close. Western Gateway Park is the crown jewel of Penn Valley that has loyal fans of all ages. All 87 acres are open to the public and are filled with fun for individuals, families and groups. With facilities including a stage pavilion, picnic areas, large lawn areas, rustic amphitheater, and Buttermaker's cottage; For families it has playgrounds, picnic tables, barbecue pits, a creek with swimming hole and more. For additional recreation, the park has 6 bocce balls courts, a highly rated disc golf course, 4 baseball fields, basketball court, horse shoe pits, tennis/pickleball courts, hand ball, walking paths and trails. Each year the Penn Valley Community Rodeo Association puts on the Penn Valley Rodeo. This is a great family event bringing everyone out to enjoy a few days of Rodeo pride. 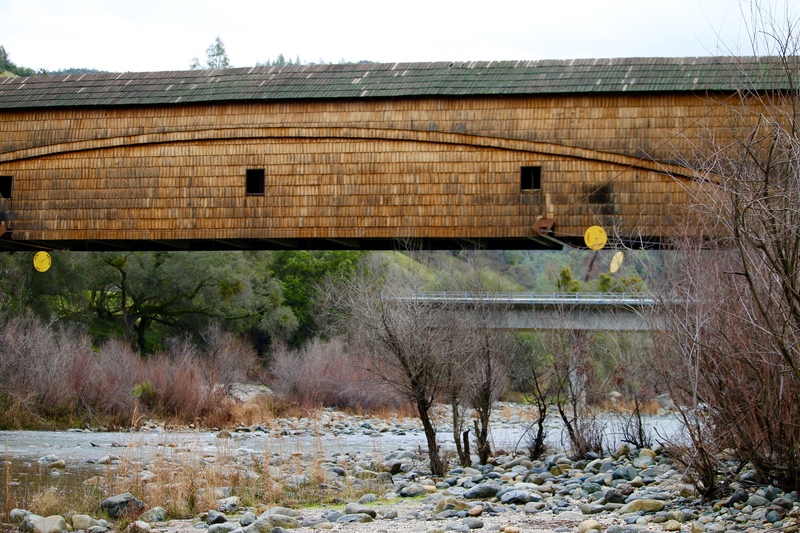 Near the South Fork of the Yuba river you will find the best know bridge in the area called the Bridgeport Covered Bridge. In the 1850's and 1860's Bridgeport was a transportation center for supplies moving from the San Francisco bay area to the California gold fields and the Nevada silver fields. The length of the bridge from opening to opening today is 229 feet, making it the longest single-span covered bridge in the U.S. This home town community is a great place to raise a family or retire in serene surroundings. For nature lovers and outdoor sports enthusiasts Penn Valley is a year round playground.